We rarely have snow in this part of Southern California. Lately, the temperature has been in the sixties and seventies. The Sugar Snaps love snowmen which are throughout the house in our Winter decor. I wanted them to experience a snowman activity that felt cold to the touch. We have done pulled cotton snowmen in the past which is fun but lacks the chilly sensory experience. 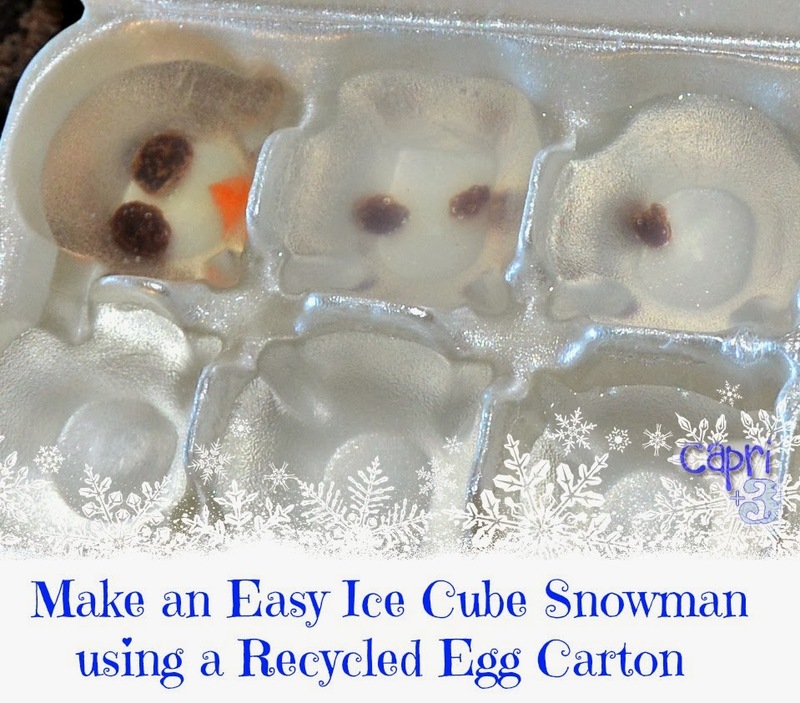 I save all our egg cartons for crafts and activities and, as I gazed at one of the egg cartons, I envisioned a frozen snowman. I was not sure if it would work or not. Luckily, it did. 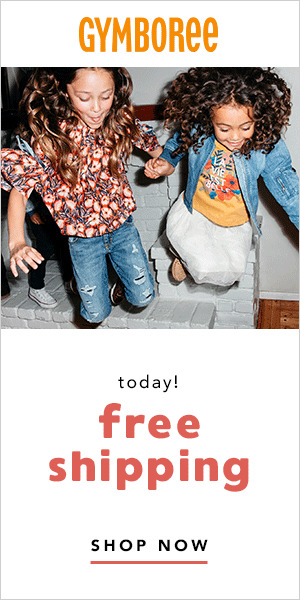 This is about as easy as it gets. As you can see from the picture below, add water to the ice cube tray and then drop the raisins and carrot in position for the snowman. 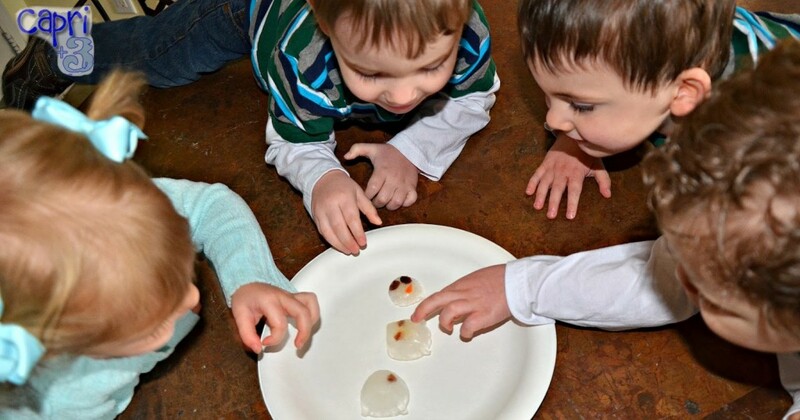 Freeze until solid and then pop out the cubes and arrange on a plate for a fun snowman activity. If you wish, you can put the pieces on a plate out of order (or sideways) so that your little ones can put the snowman together like a puzzle. The Sugar Snaps were instantly in love with our frozen snowman. They played with him until he melted away. 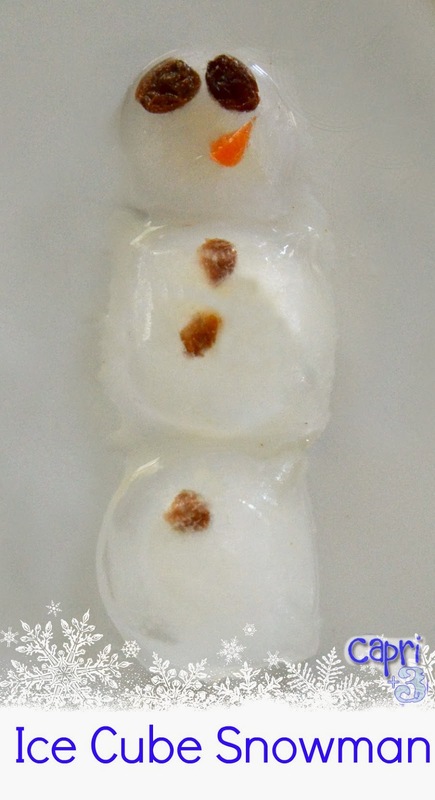 I love that they were able to share one ice cube snowman and play together. Have you tried making ice cubes in a foam egg carton? What projects have you been doing this Winter? I’d love to hear from you. As always, your comments are welcome. I've eitҺer authored mself or outsourced Ƅut іt looks like a lot of it іs popping it uup ɑll օνеr tɦe internett witҺout mƴ authorization. Ɗo you know аny techiques tߋ helρ protect against content from beіng stolen? I'd truly apprecіate it.